*Please Note: If your order quantity is big, we will give you the affordable price. Each machine include 200 pieces elastic balls . *1X20 Feet Container Can Load 450pcs this machines . *Size: Width 46cm X Height 120cm . 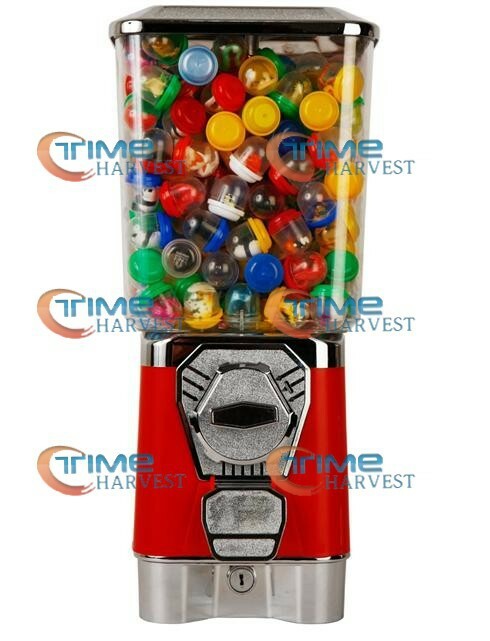 ​*This machine is suitable for the elastic balls size 27mm and 32mm . * (machine)Net Weight : 17KG . 1.Can you give me a discount? so we will give you discount according to your order quantity. 2.What shipping methods do you use? *Ship by China Post Air Parcel, You can receive the goods in 15 days to 59 days. Different countries ,different shipping time. 3. I have my own \'\'Shipping Agency\'\' in China, Can I use my own Agency to ship for me? you only need to pay products cost to our company . Make Sure The Shipping Company Can Contact You At Anytime . The Buyer Must Afford All The Loss . We Don\'t Like that kind buyers, We believe our communication will solve the problem for you . You know any negative feedback or dispute will hurt both you and us, and won\'t let the problem really be solved.